Every year, Ramadan seems to come faster than I expect; like a whirlwind that doesn’t give me the time I need to prepare for the month. I am left surprised that it’s arrived and unprepared to begin the Holy Month. As someone who likes to ensure that things are under control and in good order, reaching Ramadan in such a state – off guard and unprepared – and is not my finest hour. Yet, sometimes, when God seems to catch us off guard, He is reminding us to remember Him. And in such times, nothing is better than taking God’s invitation and turning towards Him. Since it’s early beginnings, as the month wherein Revelation was first revealed, Ramadan is known as the month of the Qur’an. It is the sacred month in which our Prophet (p.b.u.h.) would review the contents of Revelation. And in his final year, he reviewed the Qur’an in its entirety with the Angel Gabriel. Not only was this a practical exercise, but more so, it was a spiritual one. Engaging with the Qur’an gives us an opportunity to engage with God while establishing our relationship with Him. It’s a time where we can learn more about God and what He expects from us, His servants. What is He telling us with the various stories that fill the Sacred Scripture? How do these stories speak to us? How can we come to know God better? Such questions teach us to be intentional about how we engage the Holy Book. To read the Qur’an with intentional means to read it with a desire to get to know God; it means reading to understand and being open to Scripture and its relevance to our daily lives. 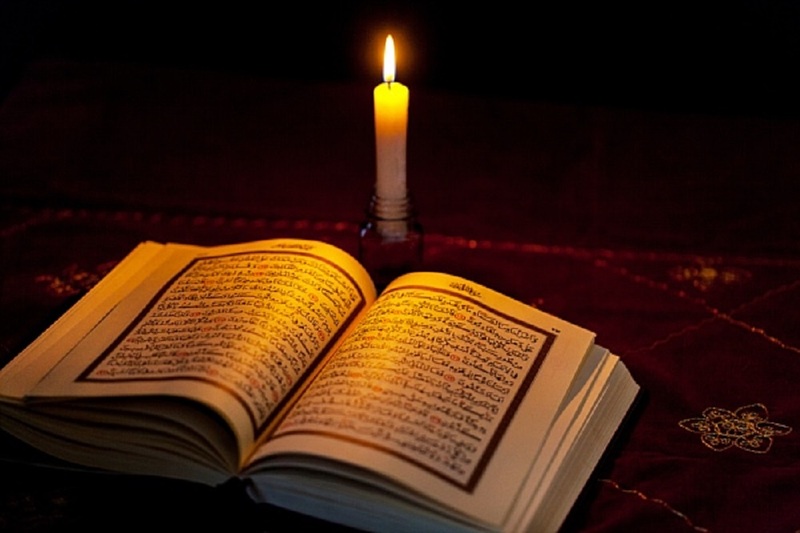 Reading the Qur’an, in allowing us to develop our personal relationship with God, also gives us the opportunity to implement His Scripture by engaging in our daily interactions with intention and deliberation: To act well and justly towards those around us. While Ramadan has social components which we partake in with our close family and friends, for many Muslims, Ramadan becomes just that – another event to announce on our social media platforms. We become preoccupied with posting and sharing our Ramadan, and soon enough, we lose sight of its main purpose: To get closer to God and increase our worship of Him. While it’s important to see friends and family we haven’t seen all year, during Ramadan we should focus our aim towards God and His Holy Book. Make sure that you are spending time with the Book of God during this blessed month and even more so, if you are spending time with loved ones, use those opportunities to join in good action. As Muslims, we encourage each other towards good. And why not, especially during Ramadan, when each good action is multiplied tenfold? Overall, try to remove those distractions (usually those that include technology which prevent you from opening your heart to God. Give Him one month where you choose to mentally and spiritually dedicate yourself to Him. Ramadan is not simply the time to cut yourself off from distractions, but in doing so, you enter a personal relationship with your Lord and you make your social sphere exclusively your family and close friends. Through such a shift your relationship with your Lord and family changes for the better. As for myself, when Ramadan comes it also brings with it the expectations of leaving the month a better person. However, considering such a task can feel daunting- but it is not impossible. Never forget, a little goes a long way, especially during Ramadan. Reading the Qur’an for only twenty minutes a day during Ramadan can make a difference. Journaling to understand your relationship with God can make a difference. Giving $1 in charity every day can make a difference. Helping your mother with iftar every night can make a difference. Ultimately, engage with the Qur’an and try to do what pleases God. Whatever you decide to focus on this Ramadan, make sure you are committed to it – don’t give up on yourself. Give yourself an entire month of wholehearted dedication to God and you will be rewarded with much more. God loves small and continuous actions, so commit yourself to what is manageable and do your best! With that said, I encourage you all to spend some of your Ramadan engaging God’s book and striving to get closer to Him; to build and develop your relationship with your Creator. Though the blessed month is nearing the finish line, there is nothing to prevent you from reaping the benefits of Ramadan by wholeheartedly renewing your intentions and making amends with your Lord. To each of you a blessed Ramadan.